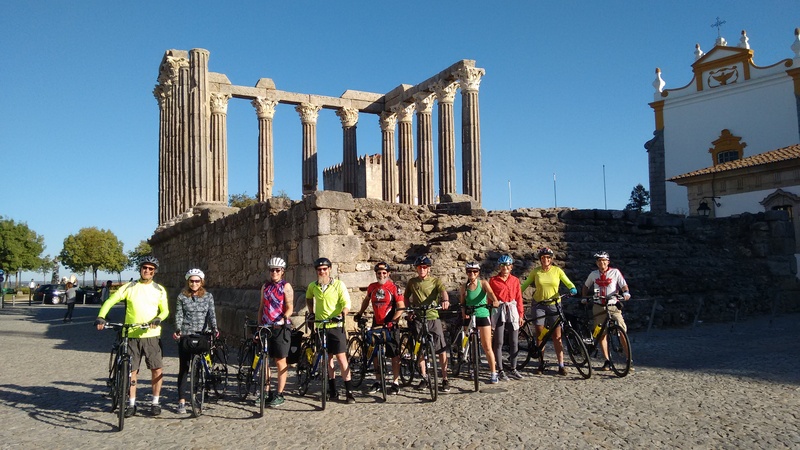 Overview: This next stage of the route takes you away from the worst of the tourist development, heading towards to the most south-westerly point of Portugal before turning north up the wild Atlantic coast. Distance & Difficulty: Total distance of 164km (103 miles). Moderate. Following the coast west to Sagres involves a few hills but none that are that long. It’s generally fairly rolling as you head north – a few sharp ups and downs but nothing severe. Details: The route shown takes you out of Lagos on some minor roads via the former seaside villages of Luz, Burgau and Salema. These are all quite developed (but nothing compared to further east in the Algarve) and can get very busy. However, none of them are that big and they can be quite pleasant out of season. They’ve all got beautiful settings and Salema and Burgau still retain quite a lot of their original charm. The good thing about this route it that it takes you off the main road, the disadvantage is that you’ve got a few more hills to contend with. It would probably be quiet safe – and a more gentle option – to take the main N125 as the road is quite wide, with good visibility and has a decent shoulder. It does, however, get most of the traffic – although that can still be fairly sparse out of the holiday season. You have to go via Vila do Bispo to get to Sagres, which isn’t much more than a village with a large and picturesque fishing harbour, a couple of beaches – and a reasonable selection of places to stay – ranging from a smart hotel to a campsite – and various eating options. 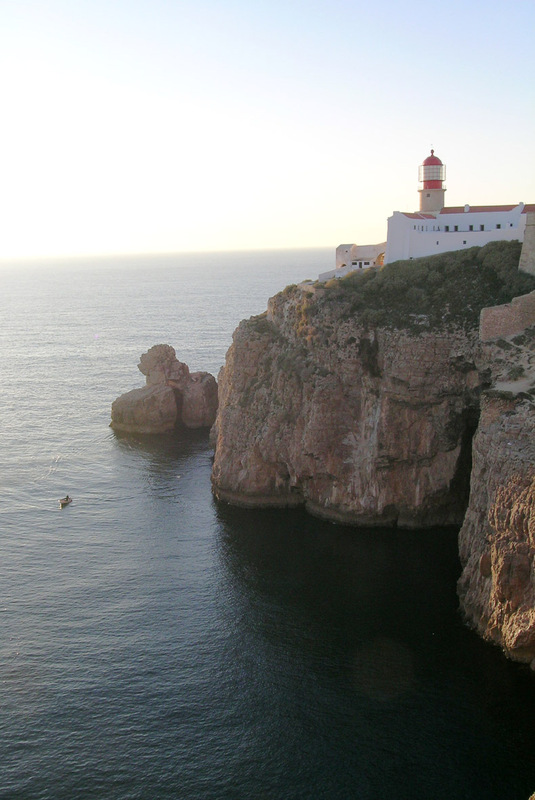 One reason to visit Sagres is the beautiful Cabo de Sao Vicente, about 5km around the bay. This windswept cape was home to the 15th century school of navigation founded by Prince Henry the Navigator. Those who studied here included the great explorers Magellan and Vasco Da Gama and the revolutionary Portuguese boats known as caravels were designed and launched from here. To head north from Sagres you have to backtrack to Vila do Bispo. It’s then another 15km along the N268 to Carrapateira, where the road brings you almost back to the coast. It’s possible to detour out to the beach – take the turning on the left just before the village. From here, you can follow a rough but rideable track that takes you out around a jagged little headland near the beautiful beach at Praia da Bordeira. 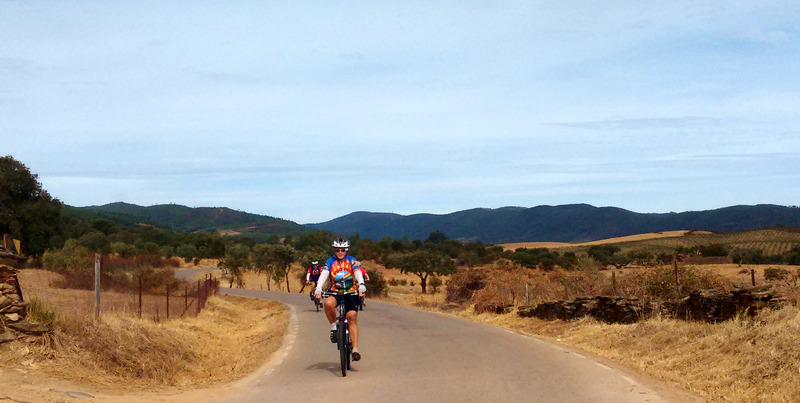 It’s then back inland to Aljezur, one of the larger stops along this part of the route. 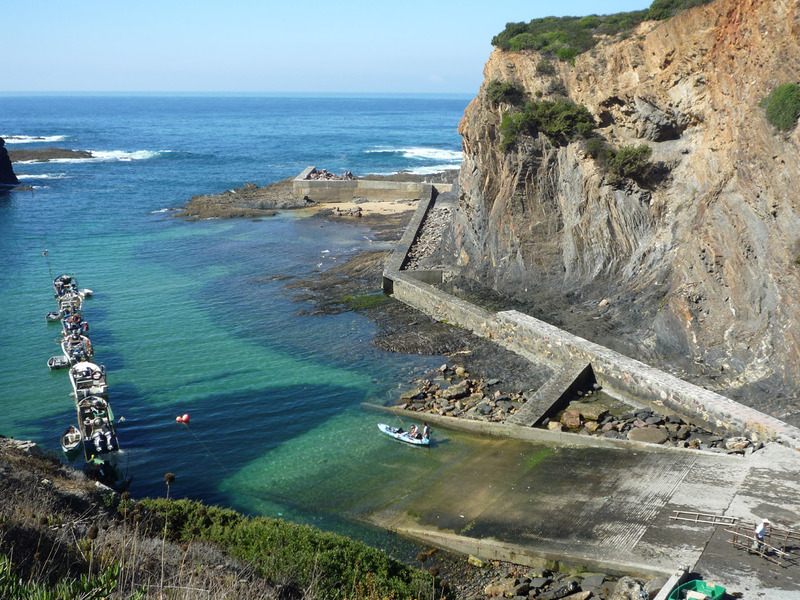 Aljezur would make another possible overnight – and there’s a day ride circuit that goes out from here to some spectacular surfing beaches. The road’s quite rolling but also scenic, taking you on up and over eucalyptus-covered hills. Last stop in the Algarve is at Odeceixe. It’s busy here in the summer but can be very quiet in the winter months. 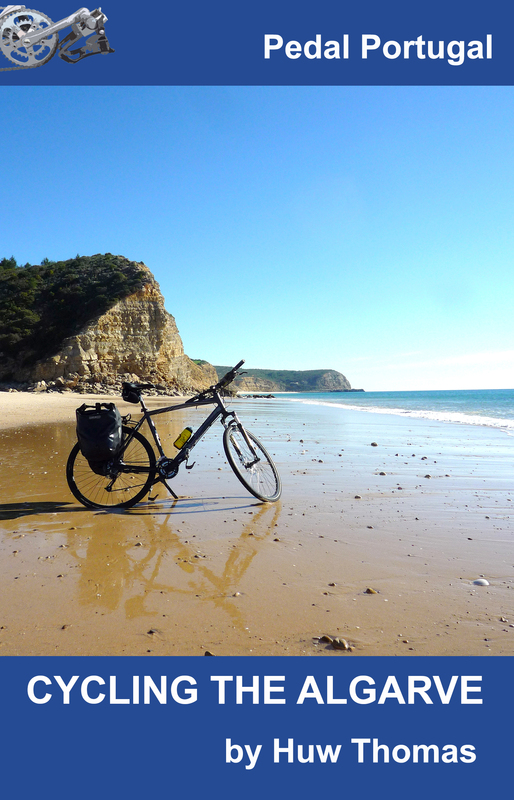 The village is about 4km from the beach but it’s a pretty and almost flat ride and the beach is one of the most sheltered on this coast. (There are also a few places advertising rooms down by the beach). 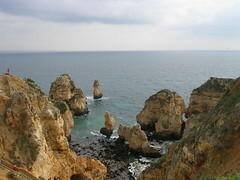 Odeceixe is the last stop in the Algarve. Cross the river and you’re into the Alentejo. Again, there’s no coast road as such as you continue north and your next opportunity to see the sea is at the pretty little village of Zambujeira do Mar, set up on the cliffs about a couple of lovely beaches. 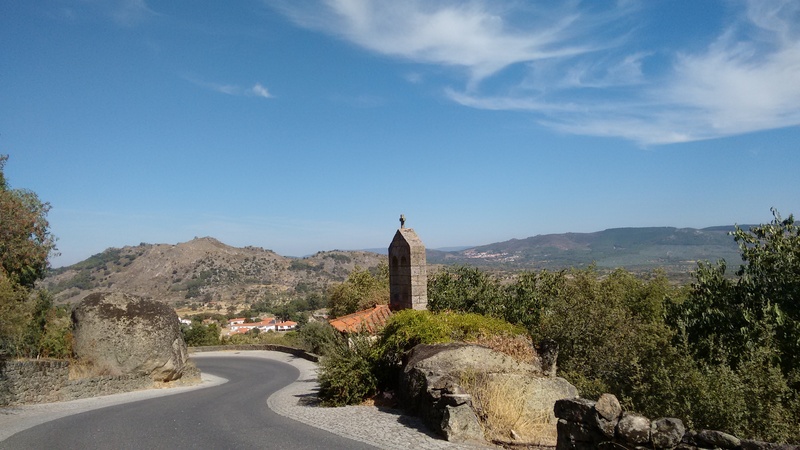 Zambujeira is a bit touristy but not spoilt and quite low-key most of the year. 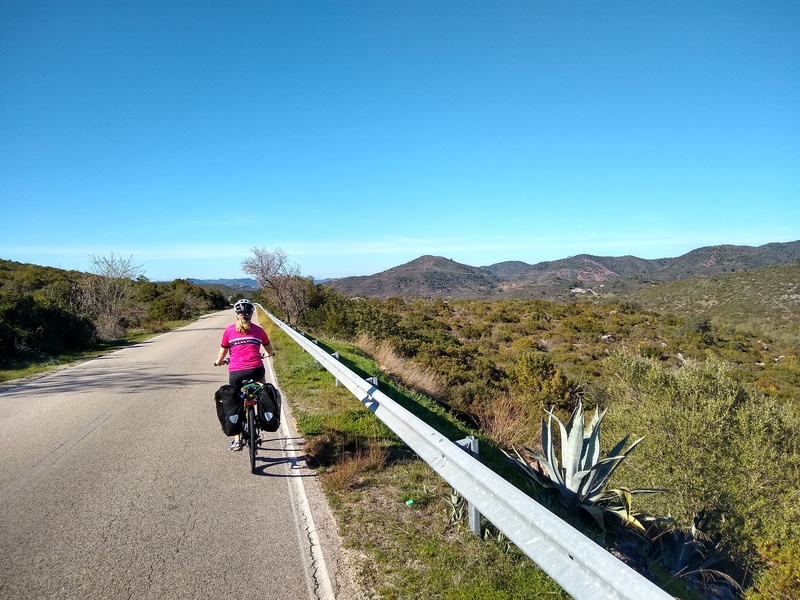 From here, some minor roads follow the coast and then take you out to Cabo Sardao, a wonderful spot with dramatic views of jagged cliffs and – in season – storks nesting on rocky pinnacles way above crashing waves. There’s another day ride that takes the cliffs and a gentle circuit through the farmland around here. From the cape, you have to head back inland until you get to the Vila Nova de Mil Fontes, a pleasant small town set just back from the mouth of the Rio Mira. Accommodation & Provisions:As you head away from Lagos – particularly closer to Sagres and heading north – there will be longer stretches without any villages. Having said that, you’ll never be that far from provisions. There are supermarkets in Lagos, Vila do Bispo, Sagres, Aljezur, and Vila Nova, plus plenty of places to eat, drink and sleep, including both hotels, hostels and campsites. Zambujeira and Odeceixe also offer smaller shops, cafes and accommodation options. Hi Huw. 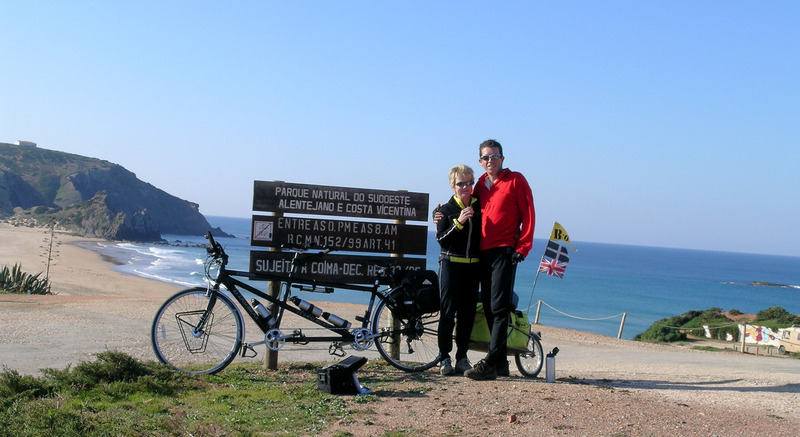 I rode the route from Lagos to Sagres today. The GPX provided follows the 125 all the way. In my case it was a blessing or I would have never made it here before dark! It’s pretty good to ride on but not exactly scenic! One positive about being on the 125 is the supermarket at Budens. There are always lots of other travellers there and it’s a great place for a chat. Hi Chris. I’ll have to check that map. Not sure it’s supposed to follow the N125! Glad it worked for you though.